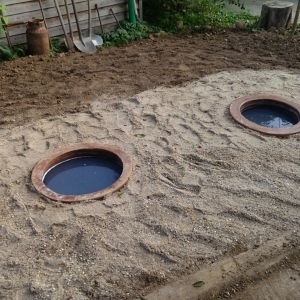 Two kvevris were installed in July 2014 in the Kox Domain in Remich. Made in Georgia, they are clay, amphora-shaped containers that get buried in the ground. 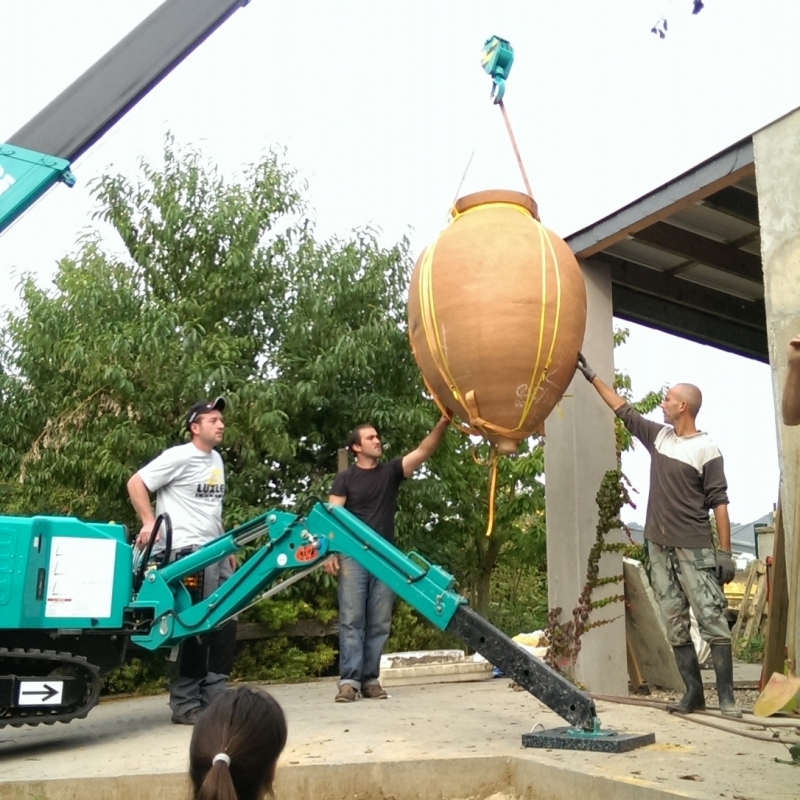 They are specifically made for wine making. At the Kox Domain, the first varieties vinified in kvevris are the Pinot Blanc and the Riesling. Many wine makers not familiar with Georgia do not know about kvevris and this traditional way of making wine. This truly Georgian culture has indeed been forgotten for centuries but is currently enjoying a revival. In 2009, the kvevris method has been included in the UNESCO World Heritage list given that those who can transmit this know-how in producing the kvevris are particularly rare, even in Georgia. 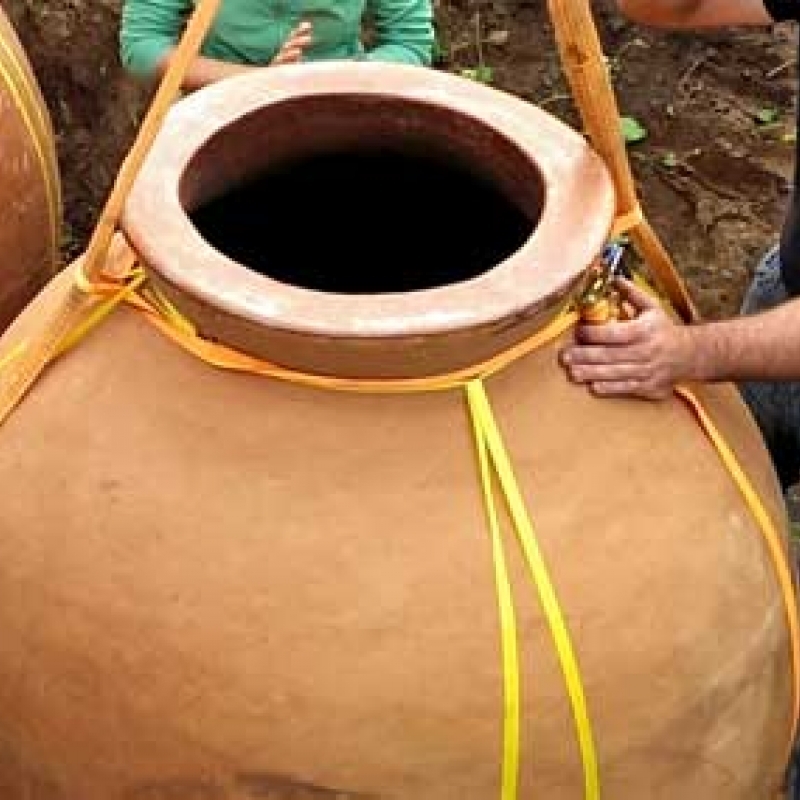 Recently, a research project has been put in place to protect this handicraft. 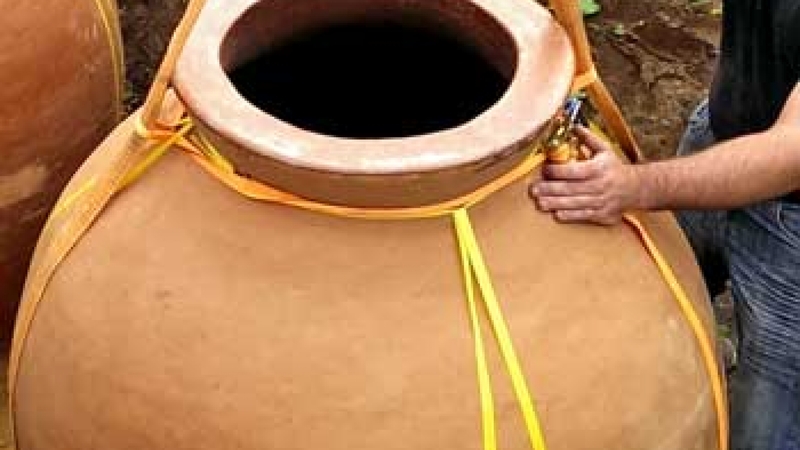 The use of jugs is the most ancient way to produce and store wine. These containers allow for a natural wine thanks to a spontaneous fermentation with only minimal doses of sulfur added before bottling up. Wines from kvevris are long-lasting wines. 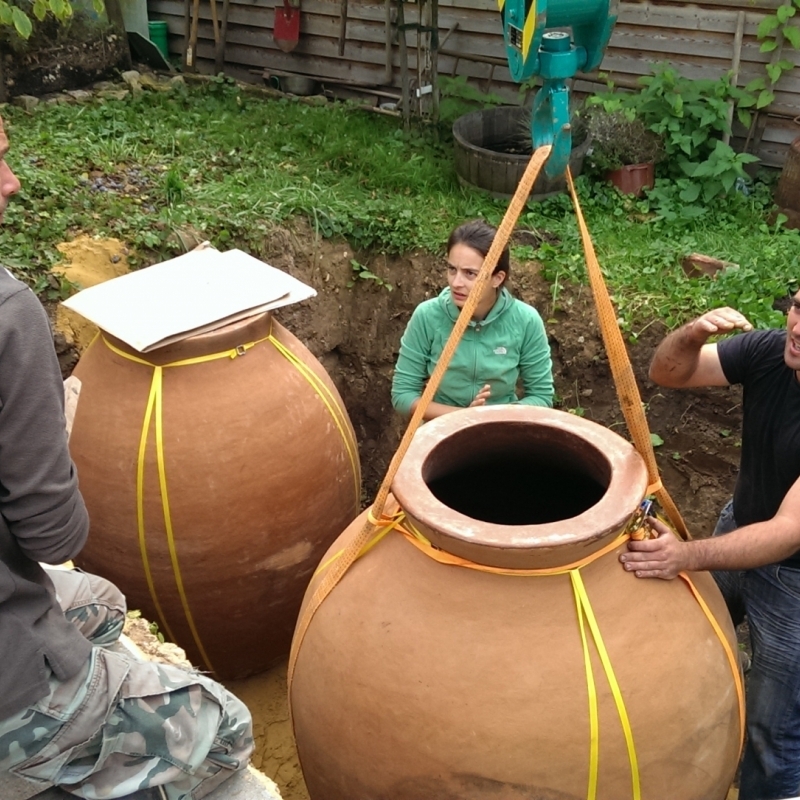 This old tradition of winemaking in amphora is now taking hold in Luxembourg. The amphora have been inaugurated during the 2014 harvest when they were filled with juice and destemmed grapes from Pinot Blanc and Riesling varieties. Discover our Kvevri Pinot Blanc 2014 and our Kvevri Riesling 2015.